← Teaser Blast: Dirty Thief by Tia Louise is coming soon!! For most of her teenage life, CeCe Edmonds has been dealing with the stares and the not-so-polite whispers that follow her around Edgelake High. So she has a large scar on her face—Harry Potter had one on his forehead and people still liked him. CeCe never cared about her looks—until Emmett Brady, transfer student and football darling, becomes her literature critique partner. The only problem? 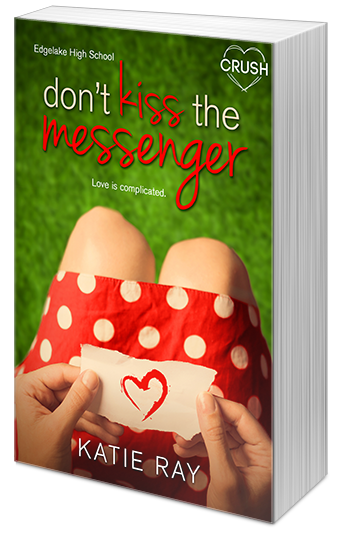 Emmett is blindsided by Bryn DeNeuville, CeCe’s gorgeous and suddenly shy volleyball teammate. Disclaimer: This Entangled Teen Crush book involves one fiercely scarred girl who wants the new guy in town, the new guy who thinks he wants the new girl, and the new girl who really isn’t sure what she wants, and the misunderstanding that brings them all together. You’ll laugh, you’ll swoon, you’ll fall in love. Bryn let herself in through the front door. I had been drowning my sorrows in hot chocolate and An Officer and a Gentlemen. I looked up as Bryn unzipped her coat. “How did it go?” I asked. “You broke up?” I tried not to sound hopeful. Her words hit my heart like arrows. I slumped deeper into the couch, aching from the blow. I had been disillusioned enough to think that one day he would confess those words to me. Tuba walked in the room and one look at me was enough to catch her up on the conversation. Tuba looked over at me. “Looks like we have a budding Danielle Steele on our hands,” she said. Bryn just stared between us, completely missing the reference. I looked up at Bryn. “He said that?” I asked. “Looks are most important,” Bryn shot back. “But they’re not the only thing that’s important,” Tuba argued. I was barely listening. Was it true? Did he really mean it? He loved her more for her mind than her looks? It didn’t take a rocket scientist to fill out the answer to the equation, then, on who he was in love with. “So, he likes you for your mind, and it’s a problem?” Tuba asked. I sighed and ran my hands over my face. Bryn looked over at me. I held up my hands in defeat. Finally, I came clean. “You’re in love with him,” Bryn stated. She fell down next to me on the couch. “That’s not—no, I’m not,” I stammered. I shook my head, denying the words and throwing them back. 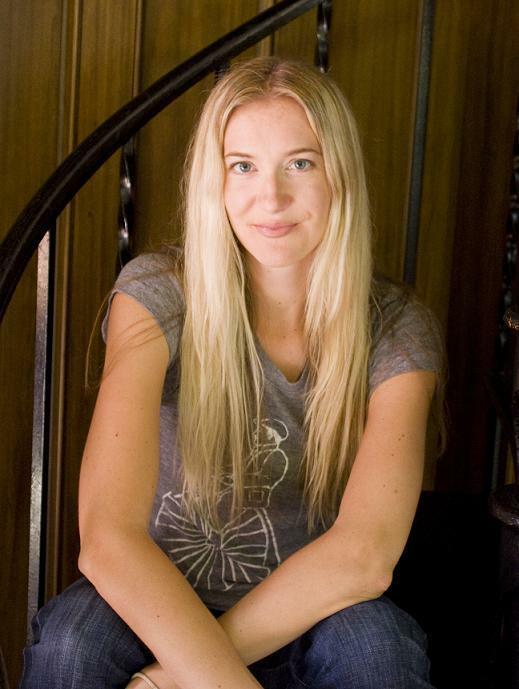 Katie Ray (also known by her previous author name, Katie Kacvinsky) writes teen and new adult fiction novels. Her books have been nominated for YALSA awards, and First Comes Love was a finalist for the Oregon Book Award. Her screenplay, A High Note, was a semifinalist in the Austin Screenplay Competition in 2015. She currently lives in Ashland, Wisconsin with her husband, two children, and a slightly insane dog. Posted in Amy, Contemporary Romance, YA. Bookmark the permalink.